IN the media recently there was a news item about fire service call operators in the Essex Fire Service striking due to changes in shift patterns. Working two 12-hour night shifts immediately after two 12-hour day shifts makes it difficult to arrange child care and other commitments. The Fire Brigades Union said 12 operators had already left due to the changes. In January there was a strike by firefighters because of plans to cut at least 179 firefighters and control staff in Essex. There have been many people who have lost their jobs under this government because of cuts, even though it is claimed more jobs have been created during this parliament. However, many of these are zero hours contracts, where there is no guarantee of a certain number of hours’ work a week, or of any work at all, but the employee is not allowed to take another job to make up the shortfall. Other people have had to take a part-time job when they were looking for a full-time job. Between 1999 and 2006 0.9 per cent of workers were in time related under-employment (working fewer hours than they wanted), but by 2012-13 that figure was 8 per cent. The Green Party would ban zero hours contracts. We would create over one million jobs in the public sector. There would be more jobs in building affordable housing and in developing green energy. Then people looking for work could find it. Essex County Council is to review its 21 Recycling Centres in 2015/16 with a view to “assessing the potential to remove latent capacity within the system and adjust operating practices, charging for the disposal of waste types that are not classified as household waste … eg DIY waste … subject to consultation”. The proposal was set out in the papers presented to the Cabinet meeting of 27th January (pages 65 and 66). Green Councillors on Essex County Council have consistently voiced concerns about moves by the County Council to reduce the service provided by Recycling Centres and now it appears that the authority is considering charging for certain waste types. “Recycling Centres are an important resource for Essex, giving residents the opportunity to safely dispose of waste and they offer a wide range of facilities to recycle, above and beyond kerbside collections. At this stage we do not know what options the County Council will put forward, but we do know that closing Recycling Centres, reducing the hours and charging will all increase the risks that waste is fly-tipped, which will increase the burden on the district,which have a duty to clear it up. So “savings” that ECC might think it is making could actually increase costs for other authorities – costs which will still fall on council tax payers or landowners faced with clear up bills. There is also a question as to how charging would actually work. Does it mean that staff at Recycling Centres would have to go through all the waste being brought in by residents to see if it falls into the chargeable categories ? That could lead to queues and disputes about waste types. THIS week there has been much argument in the media about the NHS and about tax avoidance. There has been a lot of talk about people using Accident and Emergency inappropriately, and charging people who are obese or drunk. There are many reasons why there is pressure on the NHS, and therefore A&E. The government has cut the budget of the NHS 111 service; hospital staff are ‘under too much pressure’, and there have been cuts to social care, meaning people remain in hospital. Locally, we do not have an A&E department in Epping, which puts more pressure on the one in Harlow. While we have rich individuals being assisted by our banks to avoid paying tax, the funding of the NHS will always be an issue. The Green Party’s fairer tax policies would make both personal Income Tax and Corporation Tax banded, so that those with more money would pay more. We would close loopholes to prevent tax avoidance. We would focus on prevention and support rather than punishment for people addicted to alcohol and drugs, and health education to help tackle obesity. We would create community health centres to treat minor injuries, to free up A&E, and would fund mental health research and services to support those who need it. Above all, we would preserve our NHS as being free at the point of delivery. I am writing this on the day of the anti-austerity march in Madrid, in the week that the anti-austerity party Syriza won the Greek election. Should we believe the Conservatives that austerity is necessary? They have planned £50 billion worth of cuts in the next parliament. Labour are also promising cuts. These are further cuts to our services, and they affect us all. Living standards have been cut for the majority, and slashed for the poorest. In one of the world’s richest countries, a million people used food banks last year, so Tesco in Epping, along with other supermarkets, has a collection box for our local food bank. We are told that we need to reduce the country’s deficit, because we spent over £100 billion bailing out the banks. The austerity policy has failed, and the deficit has not been paid off, because so many people are on low incomes and in part-time work, therefore not paying tax. Meanwhile, multinational companies like Google, Amazon and Starbucks are not paying their fair share. The Green Party would make tax fairer and more lucrative, closing loopholes so that rich individuals and big corporations pay more, and small businesses pay less. Then we would not need this harsh austerity. IN ‘We must save our Freedom Passes’, the co-ordinator of Love the Bus Pass Campaign asks for a clear and unequivocal commitment to retaining bus passes in their current form, particularly in guaranteeing not to introduce means testing for them. The Green Party is happy to commit to this. We do not support the principle of means testing for what are now universal benefits such as the bus pass and the winter fuel allowance. We are particularly concerned that people who benefit greatly from the freedom and opportunities the bus pass provides would miss out if means-testing was introduced, as it would mean a huge amount of paperwork. For many elderly people, buses are the only way they can get around. Without them they could be stuck at home with a greatly reduced quality of life. The principle of universal benefits ties our society together and provides a guaranteed basic standard that is shared by all. 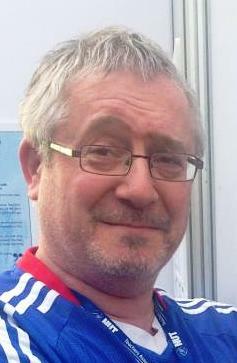 Epping Forest and Harlow Green party has nominated Murray Sackwild, who is currently General Secretary of Harlow and Epping Forest NUT, Deputy General Secretary of Essex NUT, and was until recently a secondary school teacher in Harlow for 13 years. 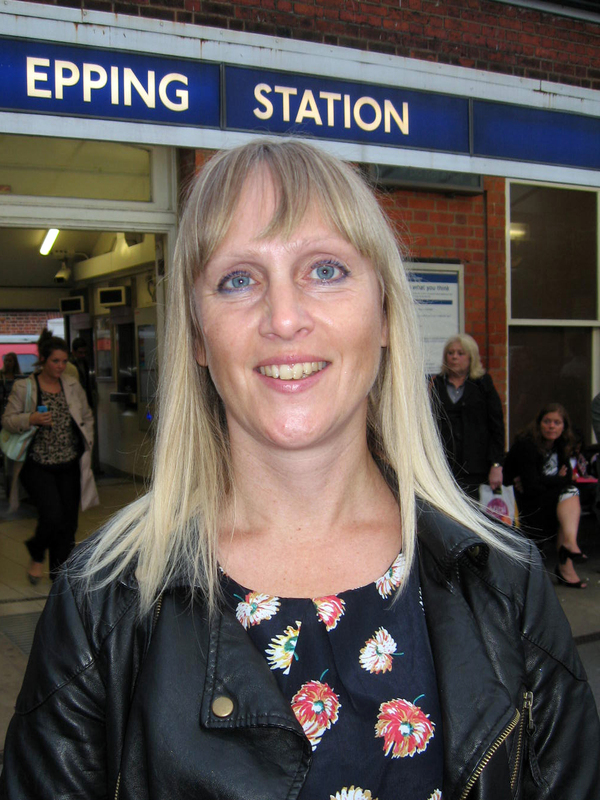 Epping Forest Green party has selected Anna Widdup to stand in the 2015 General Election. Anna is a local primary school teacher who has lived in Epping with her husband for 11 years. She has previously stood in district council elections and has recently campaigned locally against the Trans-Atlantic Trade and Investment Partnership (TTIP) and the closure of a children’s centre. 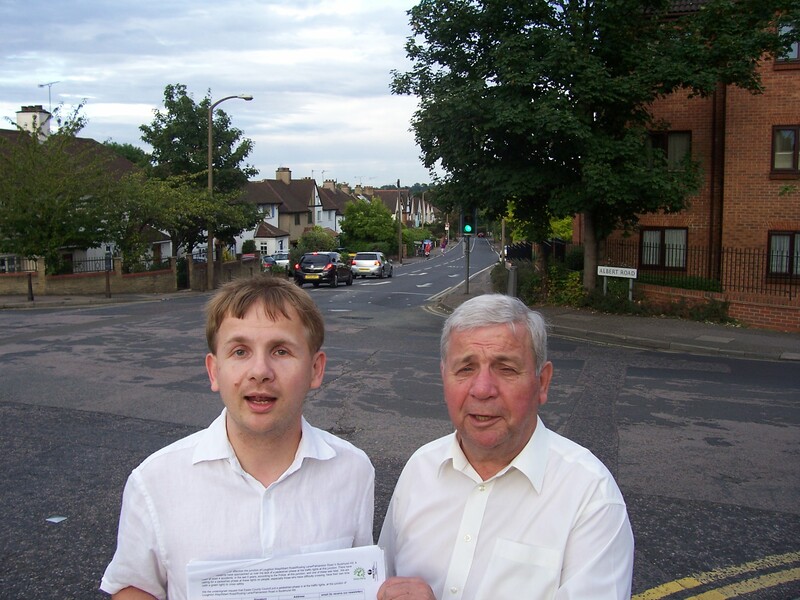 Buckhurst Hill East Green Cllr. Steven Neville said “We are delighted that Anna Widdup has been chosen as candidate. 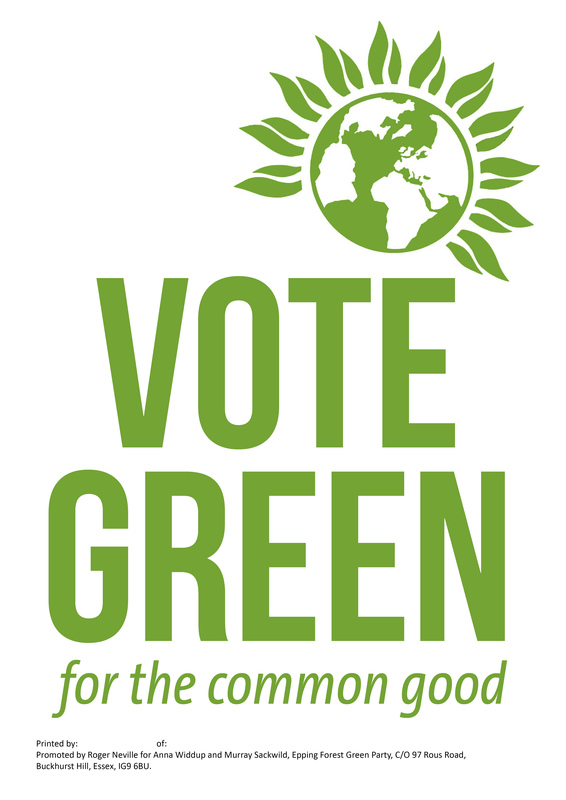 Green policies will not be more widely promoted unless given a platform. In order to ensure that the electorate have the opportunity to vote Green in 2015 we are appealing for 19 members of the community to pledge £25 towards the £500 deposit on pledgebank.co.uk” To pledge, please go to http://www.pledgebank.com/eppinggreens.